Thank you to Savvas Nicolaou from North London for emailing us these great looking photos of his finished kitchen. 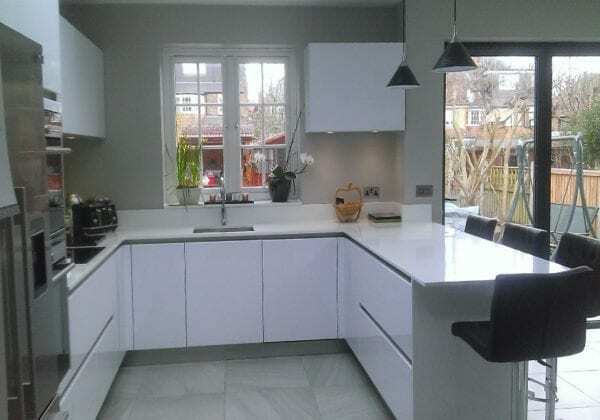 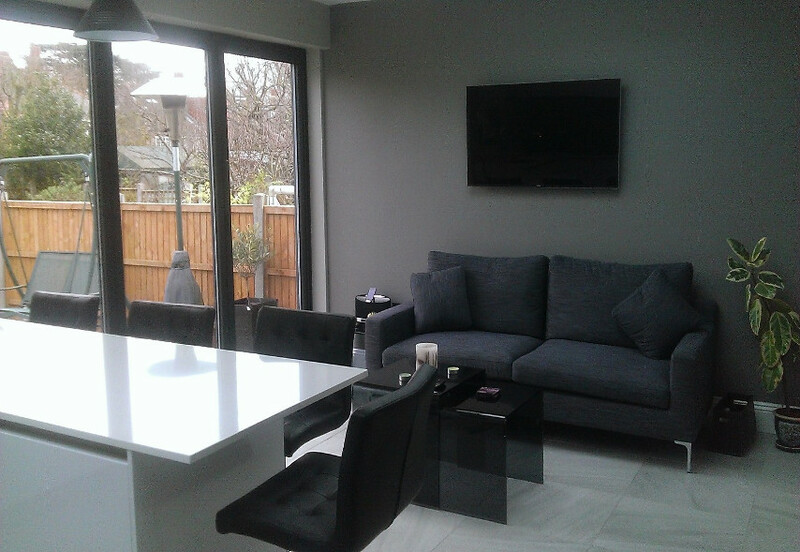 Savvas chose Polar white high gloss lacquer from our Next125 range. 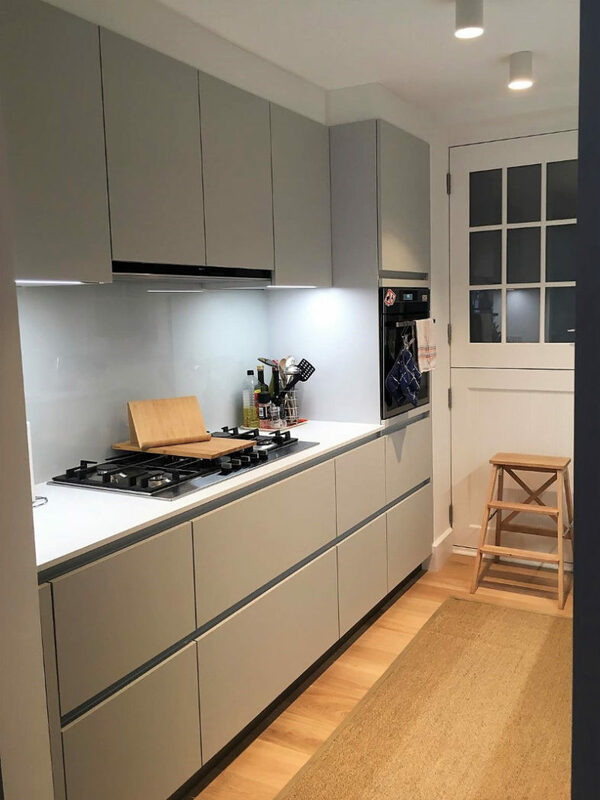 The wall units are 625 mm in height, 350 mm depth with lift up doors. 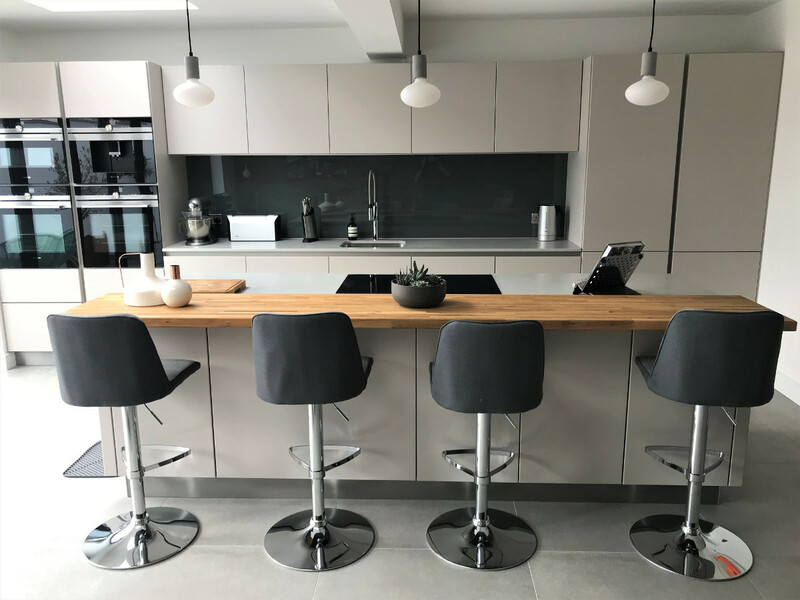 Primus drawers with basalt mats and oak cutlery inserts. The wall units have factory fitted built in LED lights. 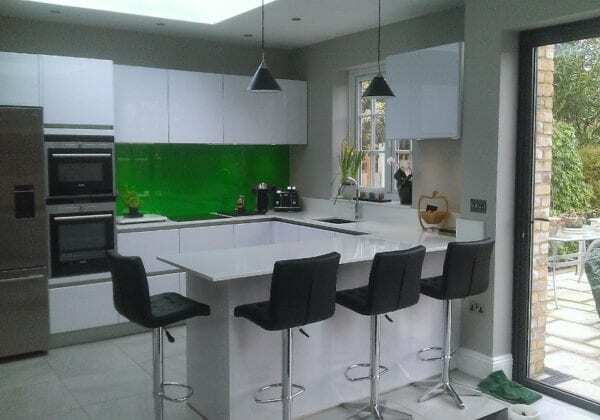 We really like the green glass splash back which gives a colour lift to the kitchen space.